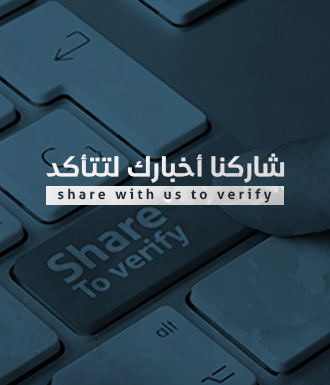 Verify-sy | Did Syrian protestors burn a Turkish flag lately? Social media pages and personal accounts shared lately a photo showing a group of protesters burning a Turkish flag while some men holding a white, red and black flag written on it “Allah Akbar”. 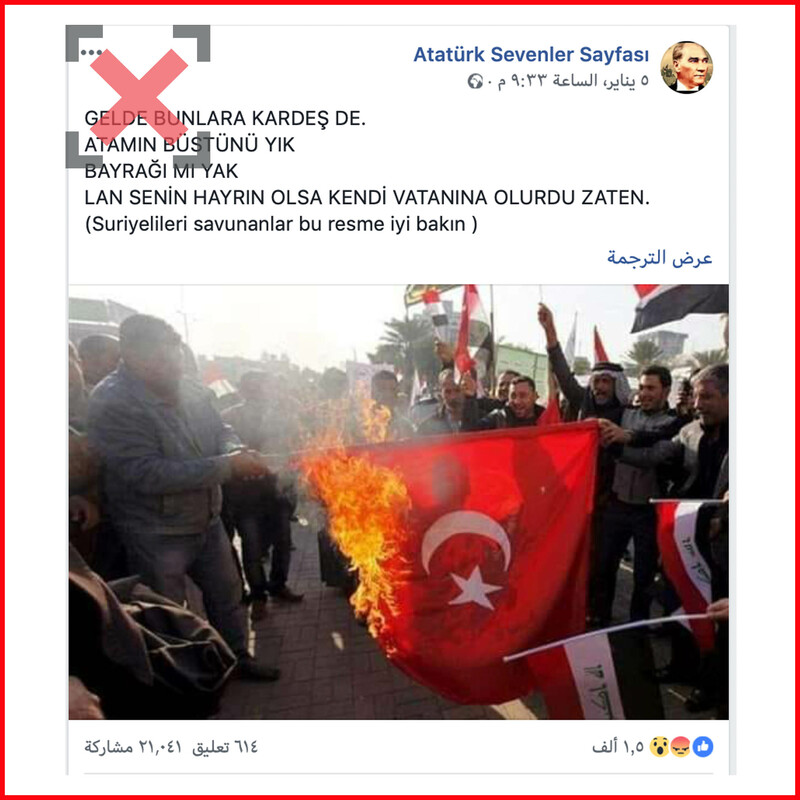 The pages and accounts claimed that the protestors who are burning the Turkish flag are Syrians with racist comments against Syrian refugees in Turkey saying “who defend Syrian refugees and call them brothers should take a look at the photo first”. 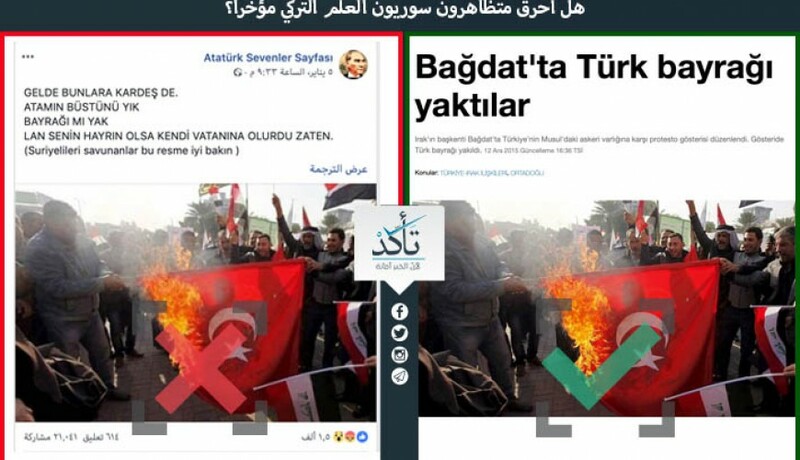 Verify-Sy searched for the source of the photo and it turns out it was taken in 2015 when Iraqi protestors burned the Turkish flag in protest against Turkish forces sent to Mosul in Iraq. Verify-Sy would like also to remind the audience that Assad regime flag is similar to the Iraqi flag but Assad regime flag has two green stars in the middle while “Allah Akbar” is written in the middle of the Iraq flag.